120 Hours + at least six hours of observed teaching practice in a classroom. A TEFL course is an entry level course for those interested in teaching English as a Foreign Language (EFL), and is an introduction to the process of teaching in general. This course is suitable for those with little or no previous teaching experience. There is no upper age limit for applicants (18+). There are no requirements regarding qualifications or degrees for course application. However, holding a degree is an advantage when seeking employment in most countries. Progress is tested and there is a pass or fail standard. After a final assessment, trainees are graded and a certificate is issued. The TEFL certificate is issued by PLC School and Training Centre under license from the Thai Ministry of Education and is recognized worldwide. 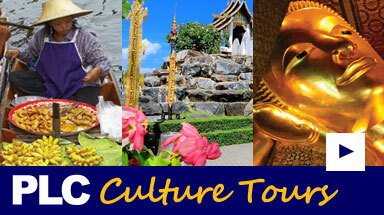 A Thai Culture module is included. This is provided as guidance for those preparing to teach in Thailand, and is in addition to the licensed TEFL course (note: this is not an officially recognized culture course). Learn how to make a lesson plan, teach grammar, and encourage language skills. Become confident in a classroom and develop your personal skills. Learn how to present language to different class sizes and levels. Become aware of what's involved when teaching English as a foreign language, and how to keep things interesting for the student. I know nothing about teaching. Is this a problem? No. A TEFL course is an entry level course that introduces you to the mechanics of language and how to teach it. Do I need to know the students’ native language? No. The only language you need to know really well is English. Knowing the students‘ language can help, but it’s not always easy, especially if you are teaching more than one nationality. Do I need to be a grammar expert? No. This TEFL course explores the common grammatical structure you will deal with on a daily basis in the classroom (the use of tense for example) and you will learn how to analyze and teach any grammar structure. Can I teach without a degree or formal qualifications? Yes. You can teach second language learners in their own country if you hold a TEFL certificate. Having, or not having a degree is a separate issue. Rules and opportunities will vary from country to country. It is best to research the requirements in each country before you apply for work, or talk to prospective employers about the available options before taking TEFL. Is work guaranteed after the course? No. PLC School can help and advise about how to apply for work after you have finished the course, but do not offer any placements or guarantees of work. Passing the course is also not guaranteed. All candidates must maintain acceptable attendance and standards during the course. I’m not a native English speaker. Is this a problem? An important aspect of EFL teaching is about providing a language model for the students, especially for speaking and pronunciation. The definition of EFL explains why. The student is studying in their own country. It is possible that the teacher is the only reference to English language. The surrounding environment is not English speaking. In reality, employers tend to look for native speakers (US, UK, CA, AU, NZ). Non-native speakers can sometimes be faced with a different kind of job market than native speakers, and the opportunities may be more difficult to find. On the positive side, the ability to speak and possibly teach more than one language can be an advantage. Awareness, enthusiasm and the will to improve can help with these issues. If you are a non-native speaker, you can take a level test at PLC School (at school or online) to establish your ability, or you can talk to our trainers about your aims and how you feel about your current level of English language. These are just some of the reasons people decide to take a TEFL course either before they travel, or once they arrive at their chosen destination. If you plan to travel to Thailand and intend to take a TEFL course, PLC School can offer you all the support and advice you need about accommodation, visa requirements and the logistics of studying or working in Thailand. If you are already in Thailand, you can visit one of our branches in Pattaya for more information, or you can visit the training centre at the central Pattaya branch. If you are thinking about teaching English abroad, some of the following steps can be helpful. Search online for forums or teacher experiences and EFL teaching resources to gain a good overview of what teaching English abroad can involve in your target country. Take a look at available jobs, salaries and employment requirements such as degrees, experience and specific skills. Establish dates, travel plans and any visa requirements. 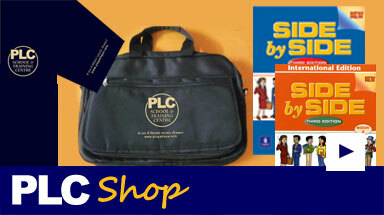 Check with PLC School for available course dates and education visa requirements. 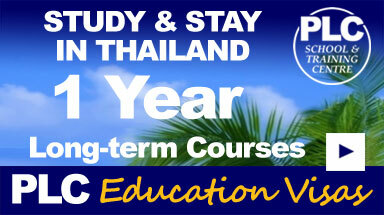 When you are ready, you can book your place on the PLC TEFL course and pay a deposit. The education visa can be activated before your course date, and you can have time to prepare and settle in before your course starts. Understanding different cultures and EFL teaching go hand in hand. Sensitivity and awareness of each student in terms of culture and religious belief is very important, especially in mixed nationality classes. A TEFL qualification is accepted worldwide and many teachers travel and teach. You may not understand the local language that well to begin with, but researching and understanding a particular culture is vital, especially as a teacher. You are going to meet a different profile of society as a teacher and are no longer seen as a tourist. You are expected to provide a social role model yourself in many cases, especially when working with young learners. You will also need to understand social etiquette when working with adult students, other teachers, and school staff. A short Thai culture module has been added as an extra to this course to provide help and guidance for those wishing to teach in Thailand. This includes an overview of Thai culture along with language and etiquette for the classroom. This extra module is included in the TEFL course at no extra cost and is certified by the school. It is not an official national certification, but the module is added to your official TEFL certificate to indicate you have completed the extra module. PLC School is a large private school teaching languages and computer skills to both local and foreign students. 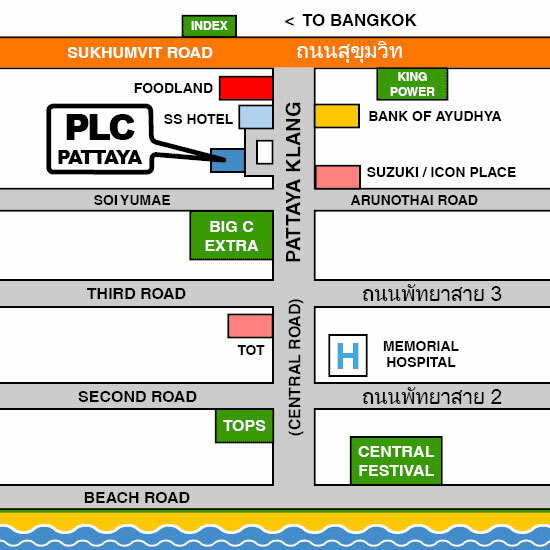 The training centre is situated at the main branch in central Pattaya and this is the location of the TEFL course. TEFL trainees can experience a real school environment on a daily basis as they study, and meet teachers and students of both Thai and foreign nationalities. There are social areas, study areas, a school library and access to I.T. facilities. This means the TEFL course is not an isolated experience - you can get a good feel for how a school operates in Thailand and have the opportunity to ask questions and meet others already working in the EFL field. 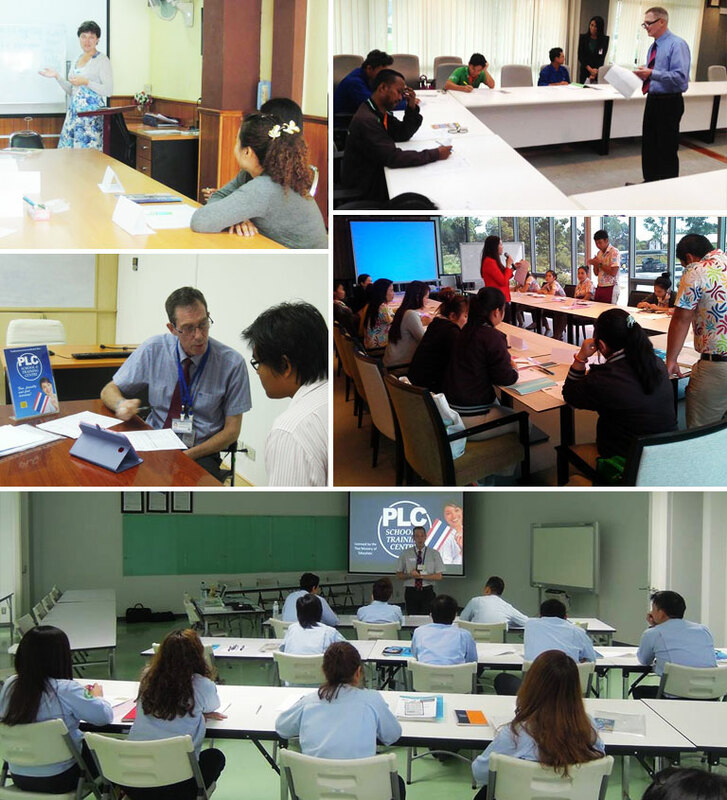 The PLC TEFL course is a mix of theory and teaching practice. An emphasis is placed on putting the theory into practice as often as possible, and to provide and mix of teaching environments. The aim is to build your classroom experience as your knowledge grows - starting with one-to-one classes and then moving on to pairs, small groups, and concluding with outside teaching at local schools to gain experience of larger classes and teaching young learners. The TEFL course is licensed and verified by the Ministry of Education in Thailand, and follows the specified outline and subjects. The course is overseen by an independent training company and is reviewed on a regular basis to ensure the course offers the latest information including developments within technology and ICT. A culture module is included as an addition to the official course and a reference to this is included on the final certificate.